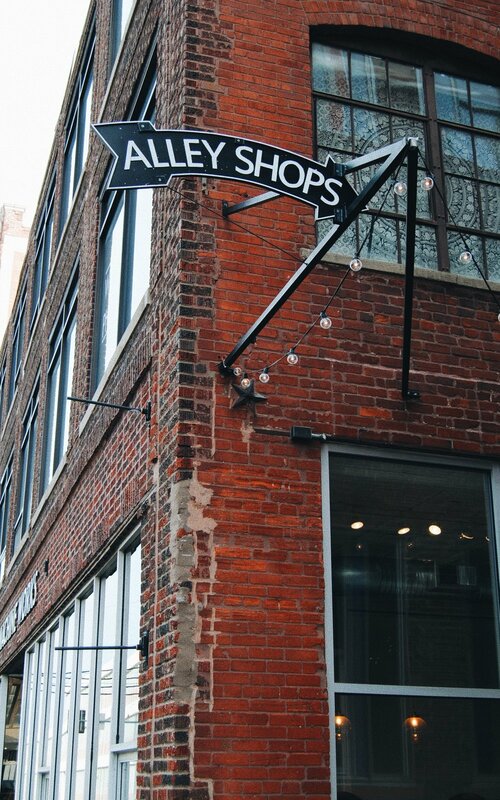 Located in the heart of the West Crossroads, you'll find a one-block radius full of creative businesses perfectly at home in Kansas City's Arts District. Each shop, tucked inside hundred-year-old buildings full of character, reflects the charm of the neighborhood. Oracle Fine Curiosities | 130 W 18th St.
“Oracle” is a shop like no other. You’ll find everything from incense and crystals to wolf skulls and a taxidermied mongoose. Whether you’re going in with something unique in mind, or you’re just curious, Oracle is truly an experience. Village Collection | 122 W 18th St.
“Village Collection” is the cutest little vintage clothing shop in the Crossroads. This shop might look small, but it’s packed full of fun and unique finds that are always changing. 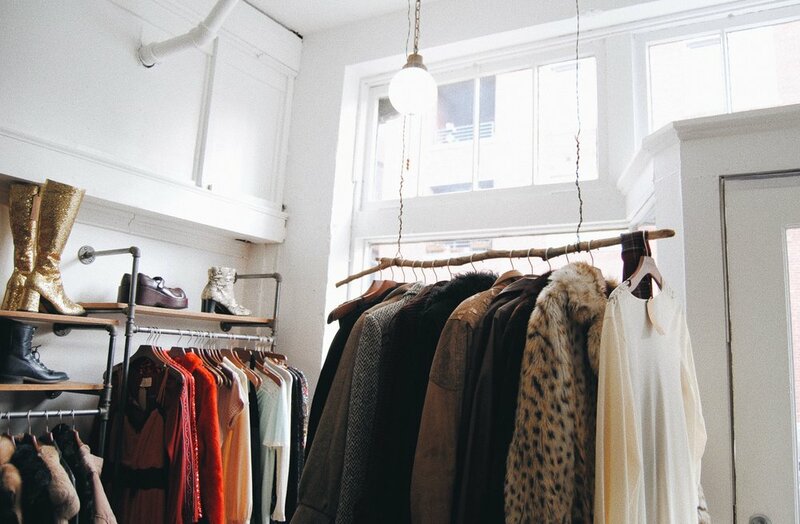 They have hand-picked clothing ranging from 1960-1990 with price tags that make revamping your wardrobe easy. For Strange Women | 115 W 18th St.
Tucked back in the historic Bauer, you’ll find “For Strange Women,” a cozy shop full of beautifully designed perfumes. They create small-batch artisan perfumes that take you back to nature. They also carry jewelry and limited edition items. Dear Society | 115 W 18th St.
At “Dear Society” in the historic Bauer building, you’ll find a curated collection of modern and vintage clothing, along with adorable home and apothecary treasures. Every time I go in, I find something new that I can’t live without. It’s a great spot to grab gifts, too. Birdies | 116 W 18th St.
“Birdies” is not your average lingerie shop. Walking in, you’ll feel like you’ve been transported to an intimate Parisian boutique. Not only will you find the most beautiful and delicate pieces, but their wonderful staff will make you feel comfortable, feminine, and empowered. Nestled into the Alley Shops, “Coki Bijoux” makes handmade jewelry that will help you make a statement. From beautiful silver hoops to embossed KC heart necklaces, you’ll be able to find the perfect locally made piece. “Foxtrot” makes some of the best leather goods in the business. Browse their beautiful selection of handmade purses, belts, wallets, watch straps and more– and be sure to peruse their wonderfully curated section of unique clothing brands. For more great finds, check out KANSO home goods and this collaboration in the historic Bauer. If you’re new to thrifting, Little Fixations’ Alyssa Broadus is here to help you figure out your groove. Hand & Land was born out of owners’ Jessica Moler and Nicole Lobdell desire to access pure, quality and effective green products that nourish and enrich our lives.